The Dodge is an impressive vehicle. With high performance and class, it’s one of the most dependable vehicles on the automotive market. The Dodge has a distinctive look that has evolved over the years for the better. 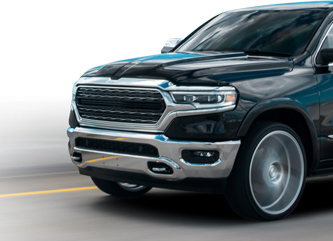 In addition to external evolution, the Dodge has evolved internally, too. Nowadays, you get more bang for your buck when you purchase one of these vehicles. The team at B&C Auto Center keeps itself up to date on the latest changes in Dodge vehicles. We know how to locate and fix problems as they arise because we are constantly studying the new parts, skeletons, and frames of these great vehicles. If you require a Dodge repair and live in Willow Glen area of San Jose, bring yourself and your vehicle in! Our work ethic is as strong as our business code of ethics. We treat every customer with care and always keep them updated on the status of their vehicle. Serious changes aren’t made without the consent of the customer. We strive to make our Dodge repair services as affordable as possible and always upkeep the satisfaction of our customers. Without you, there wouldn’t be an outstanding team at B&C Auto Center to keep your vehicle in superior working order.